A family. A farm. A heart. All in need of repair. Life on Windmill Farm hasn’t been the same since Julia Lapp’s father has had trouble with his heart. But that doesn’t stop Julia from hoping for a bright future. She has planned on marrying Paul Fisher since she was a girl. Now twenty-one, she looks forward to their wedding with giddy anticipation. But when Paul tells her he wants to postpone the wedding–again–she is determined to change his mind. She knows who is to blame for Paul’s sudden reluctance to wed: the Bee Man. Roman Troyer, the Bee Man, travels through the Amish communities of Ohio and Pennsylvania with his hives full of bees, renting them out to farmers in need of pollinators. A mysterious man who relishes his nomadic life, Roman especially enjoys bringing his bees to Stoney Ridge each year. But with Julia seriously at odds with him, Windmill Farm is looking decidedly less appealing. Can Julia secure the future she’s always dreamed of? Or does God have something else in mind? Suzanne Woods Fisher is the bestselling author of The Choice, The Waiting, The Search, and A Lancaster County Christmas, as well as nonfiction books about the Amish, including Amish Peace. Her interest in the Anabaptist cultures can be directly traced to her grandfather, W. D. Benedict, who was raised in the Old Order German Baptist Brethren Church in Franklin County, Pennsylvania. Benedict eventually became publisher of Christianity Today magazine. Suzanne is the host of Amish Wisdom, a weekly radio program, and a columnist for Christian Post. She lives in California. 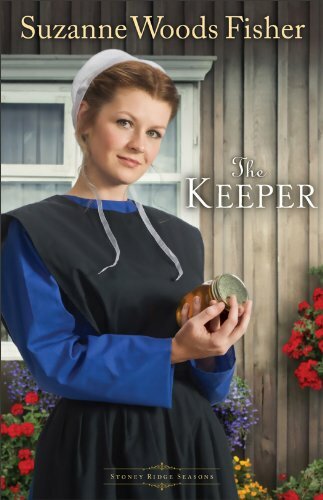 This is the Kindle version of The Keeper (Stoney Ridge Seasons Book #1): A Novel that you can also download and read on your computer and mobile phone. Kindle books are DRM protected and therefore, unlike ebooks that are in PDF or ePUB format, you cannot read this ebook without the official Kindle apps.